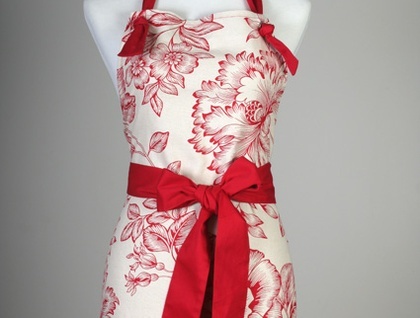 Gorgeous cotton printed designer apron, with contrasting ties and frills. 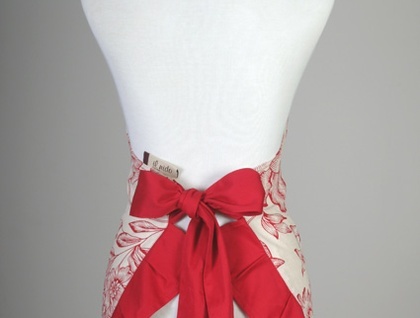 Ties are long enough to be tied at the front if you prefer in a cute bow or tied at the back. 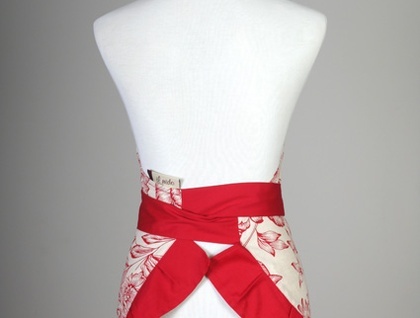 The neck tie is loosely knotted through the eyelet so can be easily adjusted shorter or longer. One size fits all. Contact ilnido to enquire about payment or shipping options.